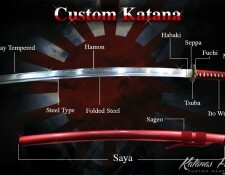 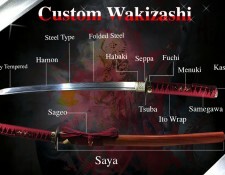 Categories: Clay Tempered Steel, Folded Steel, Ninjato For Sale, T10 Tool Steel. 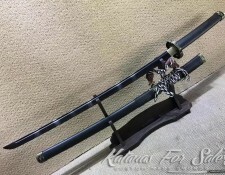 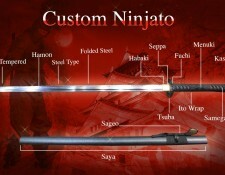 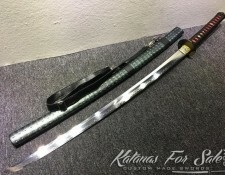 Tags: ninja sword, ninja swords, ninjato, ninjato for sale. 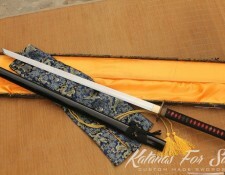 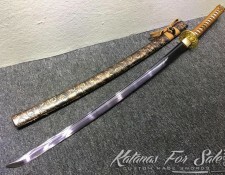 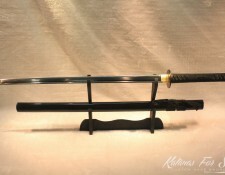 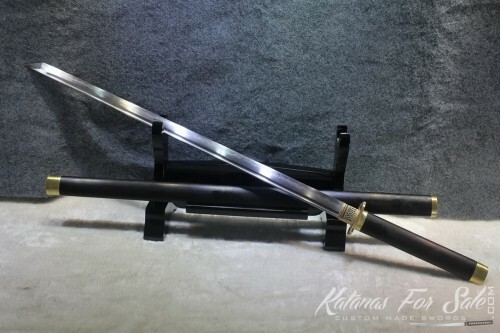 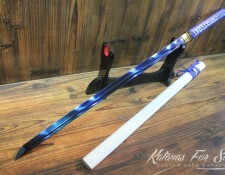 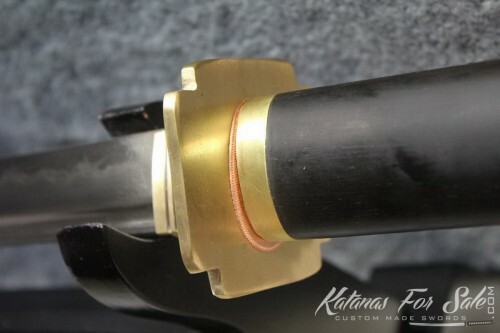 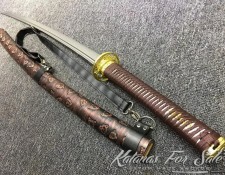 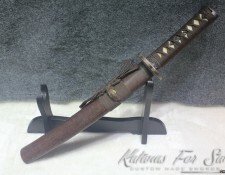 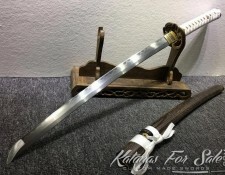 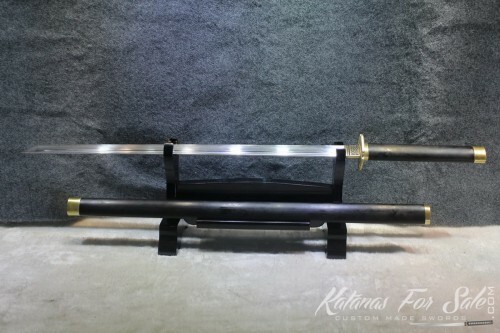 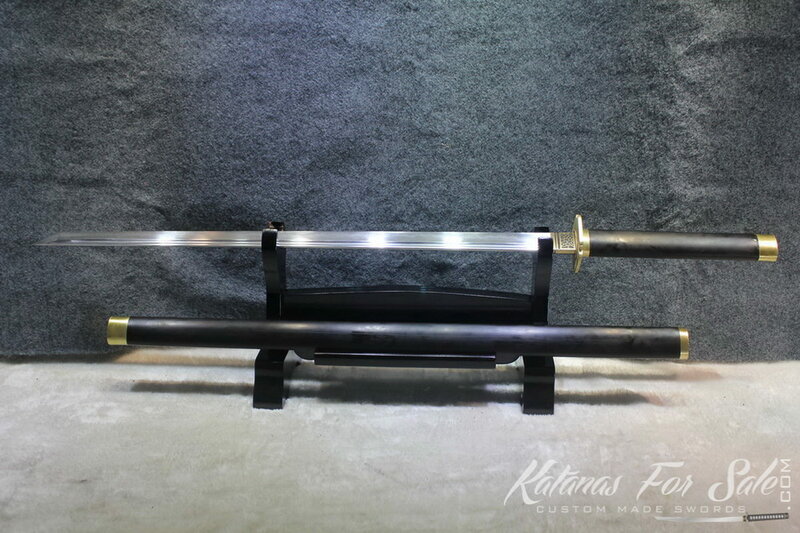 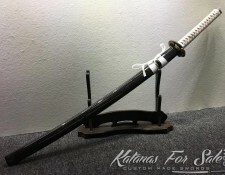 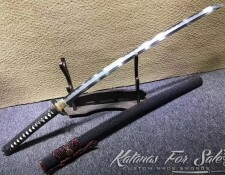 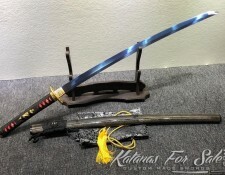 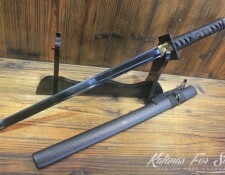 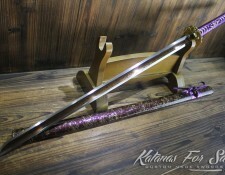 You are looking at a high quality handmade KataKiriha Zukuri Ninjato Sword. It is a straight Japanese sword that dates back to pre-Heian times. 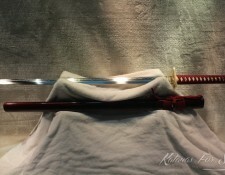 The blade of the sword has been handmade from T10 steel. 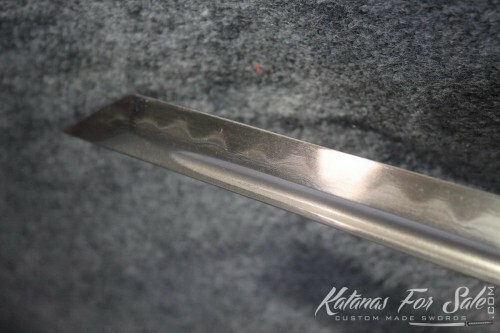 It has been folded 13 times creating 8192 grain layers The blade also exhibits one of the most appealing Hamon temper lines that is authentic and distinct as a result of traditional Clay Tempering Processes. 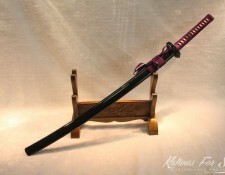 The balance of the blade is perfect and the sword is completely functional. 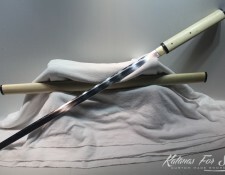 It can be used for drills, practice and test cuttings such as bamboo / tatami mats. 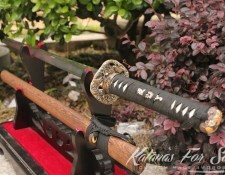 The handle and the scabbard are made of high quality dark ebony wood. 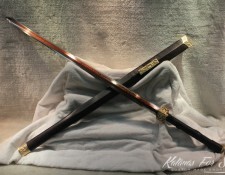 Ebony wood are valued for their toughness, stability in use, and decorativeness. 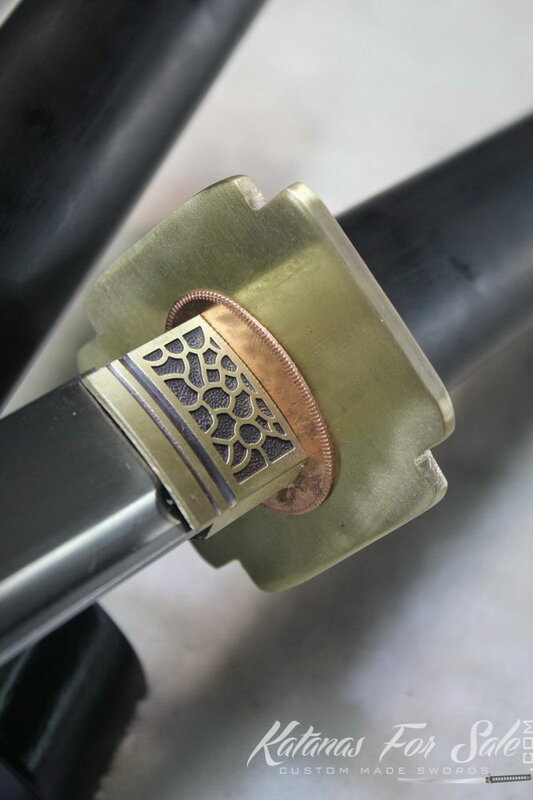 The pommels and collars are made of brass. 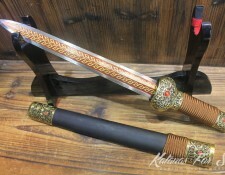 Handmade T10 Blade (13 folds, 8192 layers). 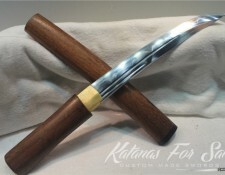 The blade is full tang and sharp. 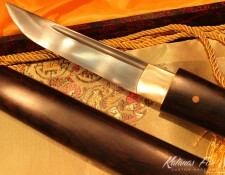 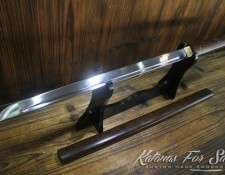 Saya: The saya is a high quality ebony wood with brass fittings. 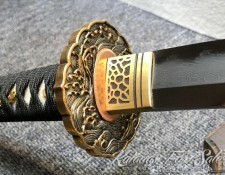 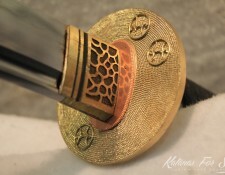 Tsuka: The habaki is brass. 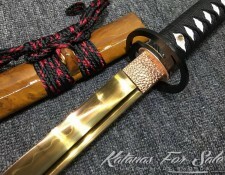 The tang is double pinned with bamboo mekugi.